Hansel wears a long black leather jacket on top of a period shirt, dark leather pants, and dark leather boots. 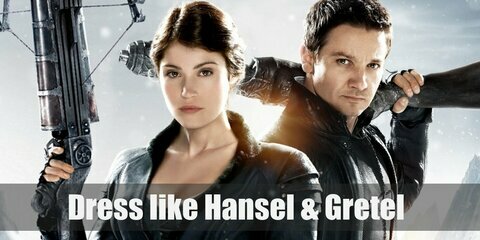 While Gretel wears a black leather jacket over her corset, dark skinny leather pants, and dark brown boots. 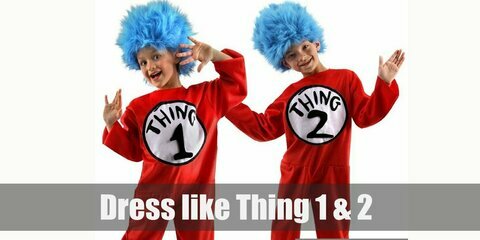 Thing One and Thing Two costume is red full jumpsuits with “Thing One” and “Thing Two” written on a white circle respectively. Shimmer and Shine both have harlem tops, harlem pants, gold flats, and awesome head chains. The main difference? 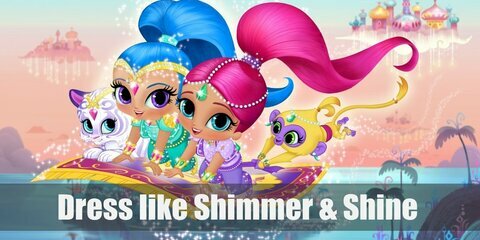 Shimmer loves pink and Shine prefers blue. 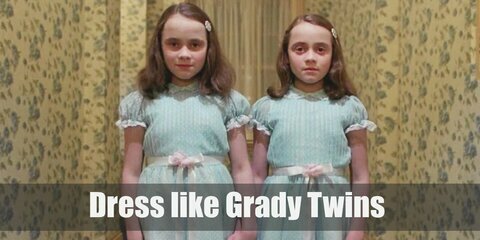 The Grady Twins wear the same dress and look identical to the last detail. The twins both wear innocent-looking light blue Sunday dresses, white stockings, and black Mary Janes. 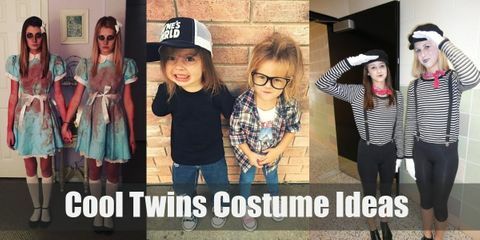 Double the fun this Halloween with matching twin costumes! Scarlet Witch has had different costumes since her debut. 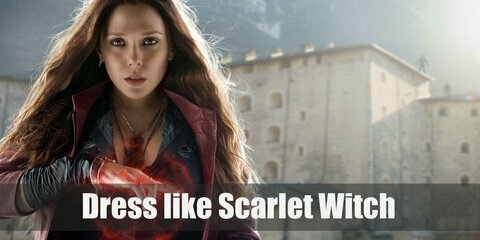 Going away from her classic outfit in the comics, Scarlet Witch wears more contemporary clothes in the film adaptation. Although she still loves the color red. 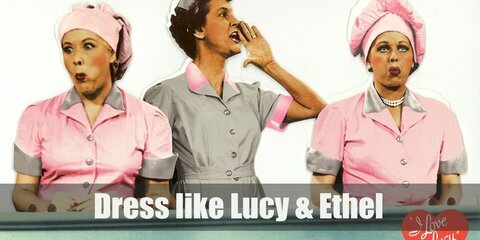 Lucy and Ethel's most iconic outfits is their chocolate factory worker uniform which is seen in season two's episode called 'Job Switching'. Both of them wear a milky pink uniform with a cook hat. 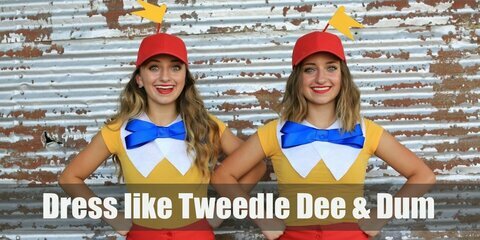 Tweedle Dee and Tweedle Dum are so eerily similar that they also wear identical, brightly colored clothes. 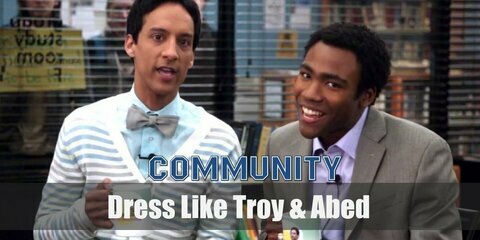 They both have on bright yellow shirts with white collars and a light blue bow tie. 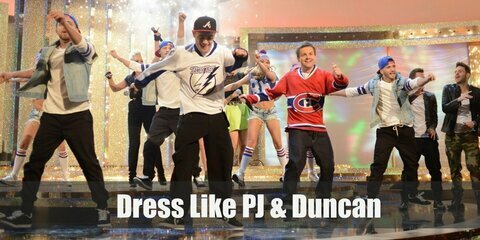 They also pair it with bright red pants and a bright red cap with yellow propellers. 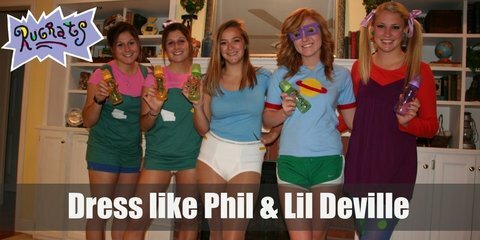 Although Phil and Lil are male/female twin, they dress exactly the same with only tiny different details like Lil will have a pink bowtie on her hair and their shoes' colors are different.